PowerLock for tool free assembly. The SRAM PC 1071 chain is precisely chamfered to help ensure the smoothest gear shifts. HollowPins reduce weight without compromising their chrome-hardened strength. Nickel plated outer plates for improved corrosion resistance. Made for 10-speed transmissions, SRAM especially recommend this chain for their Force drivetrains. PowerLock for tool free installation (unless you need to shorten the chain in which case you will need a chain rivet tool). 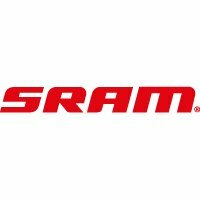 Note that SRAM recommend that the especially tight tolerances of 10 speed chains preclude removing then refitting the chain and suggest that 'PowerLock is good for a one-time application only'.